Just how many fraud schemes are there? You may be su rprised. 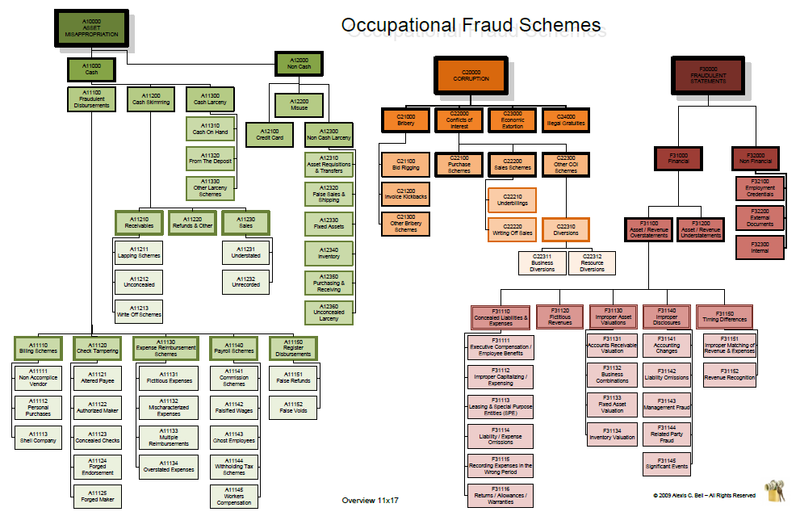 Here is a map of just occupational fraud schemes; where a person uses their job to facilitate the fraud. They are the most common schemes found in corporate fraud. However, depending on the industry, there are a host of industry-specific schemes that could be incorporated into each of these. Each fraud scheme is different with varying methodologies, positions of trust, and motives. Sometimes one fraud scheme is used by one fraudster and other times multiple schemes are used by many people. Is your company at risk for fraud?